It seems that my house is revolting against me for being gone almost two weeks. Every evening this week I have been in the "fix and repair" mode to get everything back into working order. Yesterday it was a toilet. Not your usual problem of a clogged toilet, or one that won fill or flush properly. No, my toilet decided it needed to leak around the bolts that secure the tank to the bowl! I had never considered that toilets could leak in that place. It was ugly. 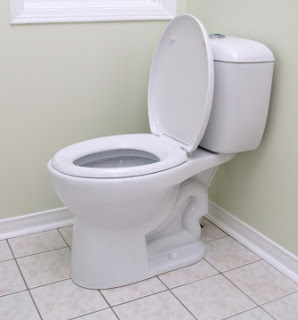 I am glad that at least the toilet waited to revolt until I had returned--it could have been catastrophic had it sprung a leak while we were away. I can imagine water soaking through everything! Ugh. Maybe I should start closing the water supply valves to the toilets when we go away. Toilet repairs are not particularly difficult, but they are also not a lot of fun. And, as it turned out my toilet required the use of the "alternate" instructions for the kit. Of course it did! And I didn't recognize it until it was all back together and leaking worse than before. I did not enjoy taking the toilet all apart, again, to reconfigure the parts. I also did not enjoy driving to Lowe's during rush hour traffic to obtain the parts which cost a whopping $4.95. I probably spent more on gas than the parts cost. But, the toilet is fixed! So the repair was a stunning success! 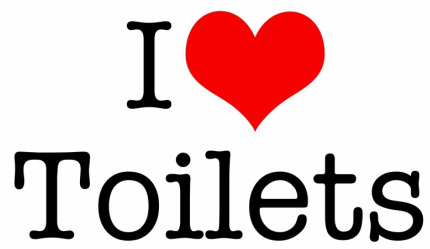 I wonder why there are so many different types of toilets?